Facebook and Twitter just aren’t enough. When you’re limited by characters, it’s hard to show what’s all the exciting things taking place behind the scenes. Please follow us a bit deeper as we prepare for 2012′s Marathon Race Series. 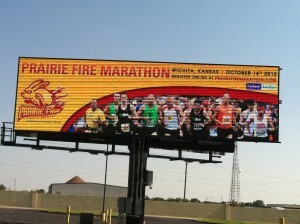 If you have anything you’d like to share, always feel free to email us at Sparky@prairiefiremarthon.com. Buckle up! The countdown to race day begins! 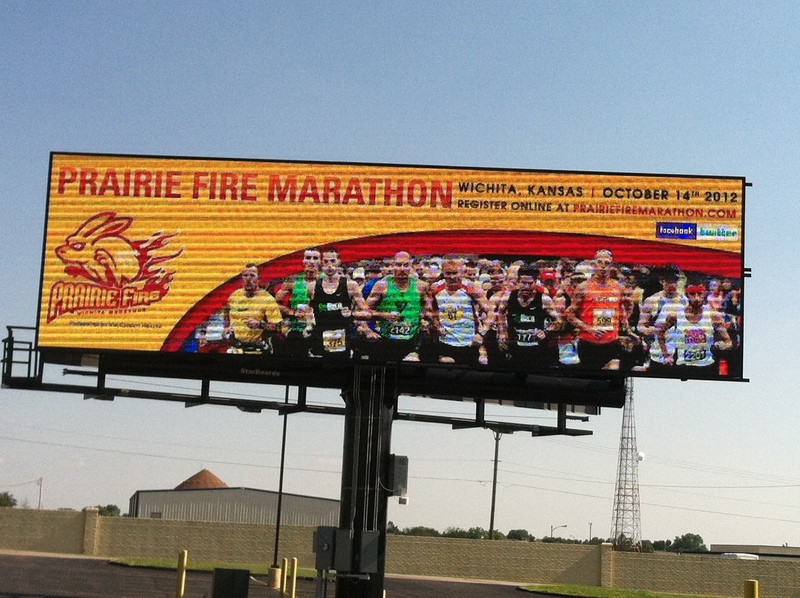 Have you seen us up in the bright lights around town? Hopefully the town will be covered with Sparky in the weeks to come!